Macquarie Media’s Talking Lifestyle format has been officially wiped from the dial. 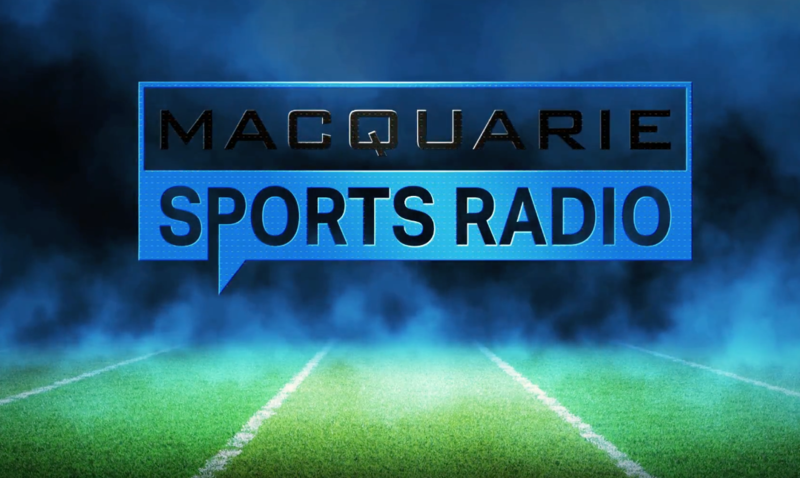 As of Wednesday, it will be 24/7 sport under the banner “Macquarie Sports Radio”. Until now, there have been very few staffing announcements made by the network. What we’ve heard are the people who won’t be part of the new entity, including Sydney veteran Pete Graham. Now it has been revealed Talking Lifestyle’s John Stanley is staying on for Breakfast for the new station in Sydney. His on-air partner Gary Linnell will not be part of the show, with former Wests Tigers NRL player Beau Ryan co-hosting. The Melbourne breakfast show hosted by Tony Leonard, Tony Shaw and Jimmy Bartel. Mornings will be hosted by David Morrow and Tiffany Cherry, Afternoons brought to you by Mieke Buchan, Shane McInnes and Sam Stove, David Schwartz and Mark Allen will head up a national Drive program, and Evenings are with Julian King. Matthews, Des Hasler, Mike Hussey, Mark Riddell, Andrew Gaze. “We are very excited to be launching Australia’s first national commercial sports radio talk network, said CEO Adam Lang. “Australians have a long established obsession with sport and we continue to see growth in a variety of sporting endeavours. “There are more than 13 million sports fans in Australia. Sport is social, it bonds strangers together and we want to give them a voice and a platform to connect and engage. 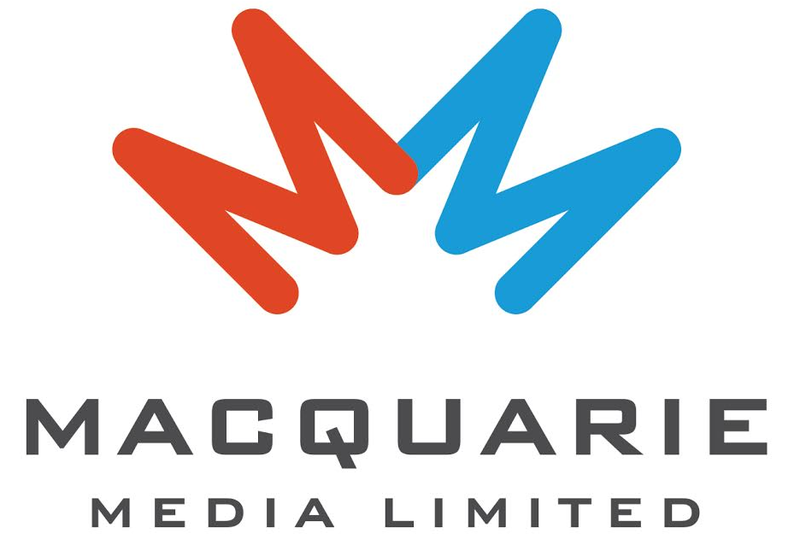 Macquarie Media is the official AM commercial radio broadcaster of the 2018 Gold Coast Commonwealth Games. As if Melburnians will listen to some bloke in a studio in Sydney banging on about Rugby League, if there’s no local content it will be an epic fail. Absolutely destroyed a once great radio station. Can’t see this change succeeding either. I like sport but don’t want to listen to it all day – already covered by other stations Should return to a news station to give alternative listening to the current 2GB presenters. Everyone not a fan with the exception of a couple of presenters. Macquarie have picked up the EPL rights for radio and there will 3 live games every week from talkSport. This is great news for sports and football fans. I’m one of those few, barely detected, fans of Talking Lifestyle 1278. I quickly looked past the ‘Media Watch’ assessment of the station and enjoyed the convenience of TL connecting me to so many interesting topics and experts. It took only a week into the format to become an avid listener and will certainly notice it missing after today. I will largely revert to RN and News Radio for my talk (along with a bit of 3AW as was always the case). I concede there may be something for me as a listener on the new MSR, yet I never tune to SEN now so I doubt I’ll be sticking with it much. If I was Macquarie management, I’d be concerned how the online feedback, here and elsewhere, is overwhelmingly negative toward the change. The rationale of the switch goes against that emotion and presents an elephant in the room. The economics of a so-called “ratings battle” between SEN1116 and MSR1278 when SEN gets 4 per cent 10+ on its best results, is the other elephant in the room and I note Croc Media are also filling the schedule of 1377 Classic Rock Radio full of sports coverage at weekends, no doubt hoping their new rival is overwhelmed by the marketing noise. MSR1278 will need local Melbourne-based shifts just to be in the game at all, not because it will give them any competitive advantage. MSR will succeed only if the market forces (such as the way sports media is consumed, particularly through modern social media) proves a bigger factor than the influence of rival players such as SEN and other rival sports media vying for attention. Good luck guys but that’s a big if. I still cannot believe that someone ended up holding the licence for 2UE and their business plan revolved around not hurting sister-station 2GB in the ratings (why have two successful radio stations when you can have one?). I still miss the 2UE news service. I still miss having 2UE as an option when I am in the car. I do, however, look forward to the first full ratings for Macquarie Sports Radio. In am not normally into betting on sports, but in this case I am placing money on the record low for 954AM. You can’t help but feel sorry for them. Talking lifestyle was not much of a success. A lot of good presenters were ditched when they brought that in. This new sport format will not succeed. I give it 12 months tops before it is declared a failure. I am off to find another station. I have just turned 2ue off for good! Bad choice Management! Will miss the variety previously offered and the personalities, especially the highly versatile Tim Webster! Disappointing decision. Four radio’s about to be donated to the OP Shop unless another station picks up John and Garry, George and Paul, Stuart Boking and brings back the Two Murrays. It is boring beyond boring bring back John and Garry. You have destroyed a once vital and wonderful radio station. Who is running the show there trainees. Very sorry to see 2ue go. Many of the presenters/shows were fabulous… John and Gary, Tim Webster, Pete Graham etc. Despite being keen on sport, I will not be listening, but definitely look forward to seeing the inevitable terrible ratings. so sad for Poor old Magic 882 AM Brisbane and Magic 1278 AM MEL . I wish Magic can came back to life !!!!!!!!!!!! I miss it so much !!!!!!!!!!!!! The ones that keep changing these radio station need to have a real good thinking of what they are doing. Why change from Magic 1278 to Talking lifestyle and now Macquarie radio sports. They need to wake up and think how it is effecting everybody. I now listen to smooth fm which is better then this talking garbage. Bring back magic 1278 and get over with it. I listened to the start. I reckon the Sydney breakfast show will offer the most valuable content of this new station. Living in Melbourne, I have to select the Sydney option on RadioApp to eventually filter out the Melbourne breakfast show (not an AFL fan here) and download whatever MSR app there may be to get NRL content on demand. Apart from that, I can’t listen to this station anymore as I was – it’s not the same. If other listeners can’t do more than cherry pick from the content as well, it shouldn’t be a shock if 2UE’s ratings slide into the 1s and 2s. It’s reasonable to expect ‘a pulse’ of listener response to 1278 having local shifts at breakfast and drive. Especially because if they can’t even raise ratings from a record low 0.2 of a percent, the default music library is no doubt ready and waiting. So so disappointing. I listened to 2UE to escape from sport, so I guess it’s time to hunt for another radio station At least George and Paul are still about even though they’ve been shifted to 2GB. you can get the latest sport reports on social media these days, the 2,3 sports shows on radio now they basically talk about the same things, so a 24 hr format i dont think it will work..
something they could try is a “talking gibberish” format… like the continuous call team. off the cuff chit chat type shows..
you can still talk about the news of the day but in a light hearted way…similar to what john and gary’s been doing the past few years..
a good alternative to serious talk back. 3AW DAB Am now 1278 sport. Surely AW can offer an alternative in dedicated talk Melbourne between their 3 broadcast options. Great to see that David Schwarz and Mark Allen are back on sports drive program . Switched off SEN since 8 Dec 2017. Also great to hear Tony Leonard, Tony Shaw and Jimmy Bartel hosting breakfast. Just changed all my pre tuned 954 station settings….see yahh! Time will tell if “MacQuarie Sports Radio” survives but it is a hard market. Magic 1278 in Melbourne had 4.3% share before Talking Lifestyle took over ratings fell to 0.1% share. Maybe Magic could return later this year with a music format of 50’s, 60’s tunes. Well they have finally lost me I almost stopped when lifestyle started but I gave it a go …. What if your not a sports nut ? It may come as a surprise to the Macquarie network, but there are a large number of radio listeners who are NOT sports fanatics. For those of us who work Monday to Friday, the “old” 2UE weekend radio format was a great way to catch up and unwind at the weekend. I was not a huge fan of the Lifestyle stuff, but the regulars like George & Paul, Clinton Maynard. Shannon Lush, Judy Horton Simon’s DYI, Buy & Sell have been most entertaining. 2GB has the continuous call team so why do you need another sports program ? Looks like my family have to find another radio station! I.dont usually use bad language, but what else fits for such a decision as to broadcast CONTINUAL SPORT – BL—- ROTTEN SPORT !!! (Sorry, but that’s how I feel, as do many friends and workmates)! As this has been done, WHY has the Continual Sports programme on weekend afternoons not been moved to Sports Radio, then slotting in a decent talk programme on 2GB, thus giving the MANY, MANY of us something decent to listen to. Those who want continual sport (??!!) can stay on the station supplying this. I just CANNOT UNDERSTAND such a decision!!! The difficulty for us is that roaming around the dial doesn’t help. 2SM also tosses out some talk programmes in the horrid footie season!! !, and ABC often drones on boringly! Lots of us don’t want to sit in front of TV all the time. PLEASE bring in some competent programmers who recognise their most reliable listeners!!! Just got rid ofany opposition to opiniated 2gb. If you regarded Talkin Lifestyle a failure this new format is multitudes worse. You may as well start a play school station. David Morrow. Experienced, knowledgeable, intelligent, informative & entertaining. Beau Ryan. Just the opposite. I tune in to David’s show however avoid the Breakfast Show for reasons mentioned. Incredibly disappointed at the new direction. I used to enjoy the variety offered by the station, given there is now no variety, I will no longer be tuning in. How could you! Nothing to listen to on weekends except for George & Paul now at 2gb, Where will 2ue go when the football finishes,do you expect to get your listeners back, you have lost them including me.